Is this a young bigfoot clinging to a tree trunk high up in the air? Or is it just a trick of shadows and light? Check out the video. If bigfoot is real, could other things be out there undiscovered as well? Did dragons once exist? The History channel on youtube presents MonsterQuest: Real Dragons. A bigfoot witness from Kentucky shares his encounter story that took place in the Taylorsville Lake area. From the youtbe channel Bigfoot's Wilderness comes another great bigfoot story. From PhantomsandMonsters.com, a witness report from hikers in the Catskills who observed bigfoot. Kentucky Bigfoot Research Organization posed this eye witness account from Kentucky. Two raccoon hunters encountered a bigfoot creature while out hunting. Bigfoot Case Files on youtube presents this encounter story that has been edited for accuracy by request of the witness. 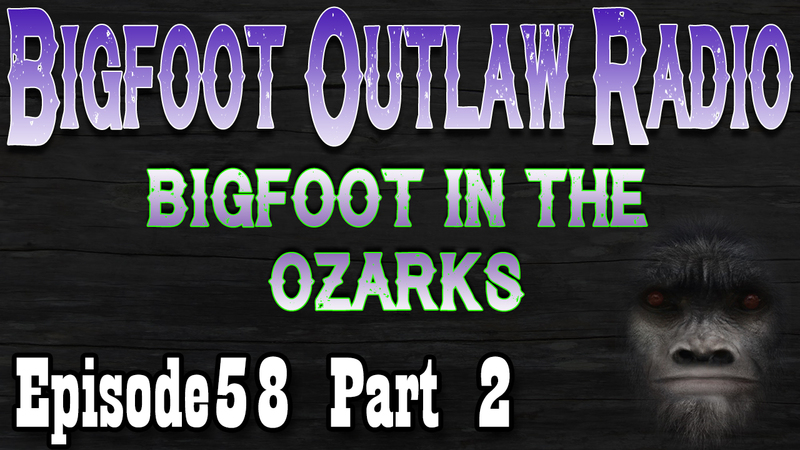 Members of the Bigfoot Outlaws talk about their recent trip to the Ozark mountains, and some of the bigfoot action they had while camping there. Author W.J. Sheehan reads from his book titled "Bigfoot: Terror In The Woods". In this video, Sheehan shares encounters from New Jersey. From the Searching For Sasquatch Org channel on youtube comes their top three bigfoot sighting stories of 2019. A group of kids get the fright of their life when they encounter a huge, female sasquatch in west Tennessee. From the ODYSY Radio Network, and interview with bigfoot witness and researcher, Amy Bue. From the Wasatch Sasquatch - Wasatch Wendigo youtube channel, an interview with bigfooter Rb Robles. From the Bigfoot Case Files youtube channel comes an encounter story about a bigfoot playing a game of chicken with an oncoming car. From Blueline Bigfoot on youtube comes an eye witness interview where a woman claims to have seen a bigfoot on her own property. Ohio bigfoot researcher Jerry Cline shares the story of his second bigfoot sighting. This one took place before a bigfoot attacked his trailer. Bigfoot Assaults Sleeping Woman - Warning! From World Bigfoot Radio, a terrifying bigfoot encounter from Randy Yazzie. May be too graphic for children. The Rocky Mountain Sasquatch Organization heads for Northern California in search of the Boulder Mountain Bigfoot.